A bizarre situation illustrating the outrage against the Norwegian CPS has developed in Norway with a Norwegian-Romanian family. In March 2014, the two boys (5 and 6 years old) of deaf parents Roberto Cruz and Andreea Avramescu were confiscated by Barnevernet after allegations of spanking at home. Spanking or corporal discipline is not considered child abuse throughout the world at large, but in Norway it is illegal. There are a few things that make this case shocking for the average person reading its history. Apparently two different processes were opened against the parents, one social and one criminal. According to the news site Digi24, about 10 months after the confiscation, a judicial body has decided in favor of the Cruz-Avramescu family after finding no evidence of violence against the children. This is what the world sees as a schizophrenic system. Even after a decision in favor of the family, Barnevernet has not followed said decision. Why even have these county commissions or judicial hearings if the CPS won’t even follow their rulings? It seems like Barnevernet is an autonomous state within a state. What makes matters worse, about 9 months later in October 2015, while the boys have not been returned, a legal decision was handed down sentencing the parents to 5 months in prison and a total fine of 6,000 crowns. This is in the setting of a previous decision in favor of the family. Those punishments have not been carried out while appeals are in progress. In the United States we call this double jeopardy and it is illegal. Once a defendant has been found not guilty, another court cannot come in and re-try the defendant for the same offense. But things are so confusing in Norway, that it appears double jeopardy is taking place when county boards and other judicial bodies try defendants on the same offense with opposite outcomes. Now here is another head-turner. While all these confusing and contradicting judgements are carried out, in February 2016 the police began a process to deport Andreea Avramescu. Obviously they did not take into consideration the initial not guilty judgement. The parental disability in this case further complicates matters. 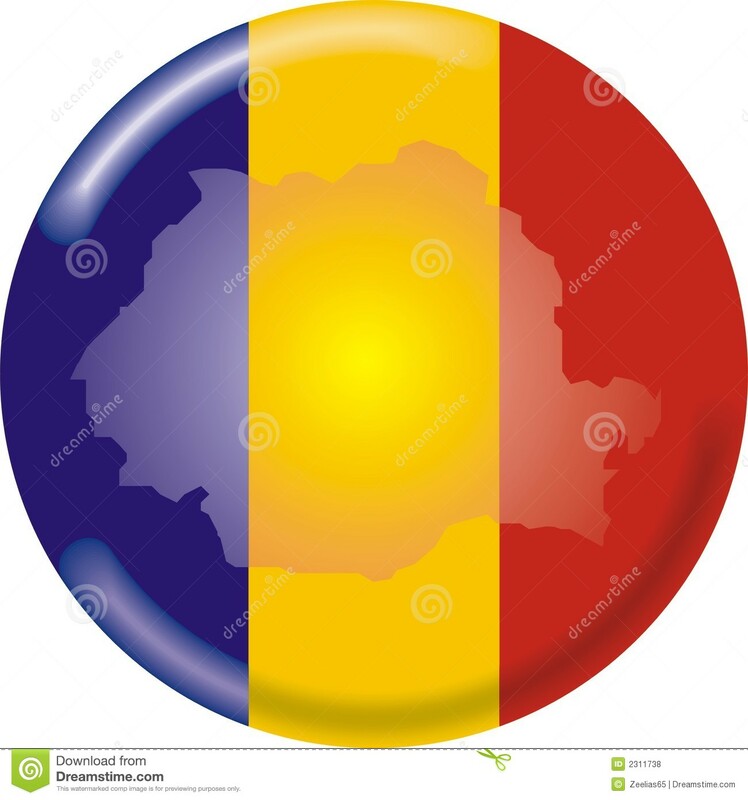 The Romanian Minister of External Affairs and the Romanian Embassy are involved in the case and have indicated that Norwegian authorities are claiming that by now the children are unable to communicate with their parents because they forgot sign language. How have we arrived at this sad situation? Ah, that’s right. The answer is that Barnevernet refused to follow the decision from January 2015 to return the children to their parents. This is how you destroy a family, Norway-style 2016.
Who will hold Barnevernet responsible? That is the question that has no answer yet. In our own case, I have never been afraid that the truth about our situation would not be clarified at last. But I also realized that any CPS-case is also a race in time. The problem about CPS-cases, is that when the facts are on the table at last, it does not necessarily change the circumstances. It is called delay-tactics, and it is very effective. To read the story about the deaf parents here is just heartbreaking. I find it to be above cruelty, it is a kind of perverted care, in the name of good. Most people do not believe that truth can be this cruel. You have to see and experience it yourself – in your own family or in the families of people you know – before you acknowledge it. The delay tactic is one of the biggest if not biggest fault of the system. In the US we do not have social committees to complicate matters. All acute interventions where children are removed must be reviewed within a short amount of time (7-10 days) by a judge where evidence is impartially reviewed. The goal should always reunification with the family. So, Delight in Truth, how would you describe the situation in the US compared to your knowledge of the situation in Norway? It is a big question, I know, and possibly it is already answered somewhere in these threads, but can you say something in few words? The reason I ask this is that I have learned that all western countries to some extent experience the same problems as we have in Norway. I talked to a health professional where we live now (outside Europe), and told him about our reasons for fleeing from Norway, and he said that he had heard that they had much of the same problems with CPS in the USA. I know Delight will get to you eventually, ON. It has been discussed before and all I will say until Delight is available is that the chances of something like this story happening in America is almost zero. Let’s only take a general case, however, as this case is unusual. In general cases in the U.S., the D.H.S. or the C.P.S. has a goal of reunification of the child with the parent(s). This is not the same in Norway as I have seen even news articles announce the increase in children into foster settings like it is a good thing. The statistics tell the story. I am not so trustful of them, Jasper. I think they do see it, and often gloat over the “drama” of it. To be honest, I am thinking about extreme stupidity as possible explanation — and that’s why I suspect at least severe neglect from the leadership side. That is the most bona fide explanation I have so far. or at least lack of thinking through? Maybe, but it is solidly backed up by an awful lot of money. Biological parents with a handicapped child work themselves to the bone to manage taking care of the child and everything else and get very little help or assistance. Another article talked about how bad it was that a foster family was not paid millions for re-doing their house for a handicapped foster child. Exactly as in the Bodnariu case. This was probably the District Court (the first instance in the ordinary court system), in the criminal case. Thank you for providing clarity on the subject, Marianne. I should have mentioned that, in addition to the criminal case against the parents for having punished the children being formally different from the CPS case, there is also the rule (again: a formal one) that while in a criminal case guilt must be proven beyond reasonable doubt, a CPS case counts as a civil case, for which a preponderance of evidence for guilt is enough to find that the parents are not suitable carers. Psychological and other experts appointed to evaluate matters in CPS cases are taught this very clearly. If they “think” there is over 50% likelihood of the parents having punished the children with some degree of severity, or are guilty of any other harmful behaviour or likely to commit some such in the future, they will use the “preponderance” rule to recommend that the children be removed. I have used your words to focus it for me, Marianne. Have I done a proper job of it? If so, questions abound on several of the cases which I am aware of. I can guess almost what they are, and you are likely to be right again, I am afraid. When the court system, too, accepts nonsense and straight-out lies as if they were fact, then we arrive at today’s situation. We have reached the same conclusion by eventually merging onto the same path, Marianne. You have been around this issue to know what has become my primary concern of the Norwegian CPS system. There appears to be no other logical conclusion in my mind. It is outright corruption that is the problem. This system about civil code and so on has one serious problem, international law obligations. Especially Article 8 of ECHR — any intervention into the right for family has to be necessary in a democratic society. This is an orthogonal question to what Norway invented, and especially critical question about forces foster care and forced adoption. In each case, Barnevernet and the Norwegian State behind it must stick to the principle of minimal necessary interference, even if the procedure was based on civil code. If the initial ruling was one in a criminal court, the situation is more severe. It means this truly is a double jeopardy case, because the parents were vindicated in a criminal court. In the US, once a verdict of NOT GIULTY is rendered in criminal court, the defendant can no longer be tried on the same accusation in criminal court. In other words, prosecution cannot appeal. That is a difference, then. Here, both the prosecution and the defence can appeal in a criminal case, from the District Court to the Appeal Court, or directly to the Supreme Court if the appeal concerns only the correct application of law. The decision regarding guilt cannot in any case be appealed to the Supreme Court. I hope I am not getting on to shaky ground regarding things judicial, however. A danger, apart from my certainly not being in on all aspects of law and procedure, is that things change. I knew it perhaps better in my youth, and have not paid attention to all the changes that keep coming in legislation, of course, and not even in legal procedure. I was a bit too brief about appeal to the Supreme Court. It is correct that the assessment of proof leading to the judgment concerning guilt or innocence cannot be appealed to the supreme court, but I see that the fixing of the sentence and the correctness of the procedure in the lower court are expressly mentioned as appealable to the Supreme Court. When most Americans hear of “double-jeopardy,” if they are unfamiliar with the legal term, they think of a game show where a person can double their money. In Norway, it appears that “double-jeopardy” describes how the child welfare system works, in many cases, legally. It is not a game show. You have made an excellent observation here, I think, Delight. I also recognize delay tactics as described by Out of Norway. It seems to happen in every case that I’ve been made aware of. How can things take so long in such a well funded system? Maybe you are closer and can see the situation better than I can, Jasper. I think that is probably the case as I’ve watched your comments and they seem quite educated. I know the answer can vary from person to person. I am looking for a general opinion in this case, Jasper. Are they really blind to such gross violations of human rights or are they choosing to be blind? Regarding deporting Andrea: Cf the way the Norwegian UDI, which handles questions of foreigners’ matters, and the appeal board UNE, act, together with Barnevernet in some cases: They want to deport mothers, but in the meantime, while the mothers have been waiting for their applications for asylum to be processed, Barnevernet has taken their children into care, and Norway refuses to let the children be deported together with the mothers. Norwegian authorities tries to press the mothers to depart, by cutting down their allowance to a level on which it is near impossible to live in Norway, let alone keep a child. I think we should differentiate here: between whether these mothers should be given asylum or not – it is a question and a debate which I do not want to go into (one cannot “take up” everything) – and whether, when the mothers are deported, Norway should have the right to keep the children back, as foster children in Norwegian homes. Some of these women have apparently been prostitutes, not all. Besides, Norway does not explain what that has to do with taking their children from them. The nation which has shown the clearest and, in my opinion, the most humane and intelligent attitude on this last question, is Nigeria. The Nigerian Embassy has refused to issue these women with travel documents or to accept other travel documents allowing them to re-enter Nigeria. In one particular CPS case, which concerned not one of these asylum seekers, but a Nigerian woman who married a Norwegian and had her baby taken away on nonsense grounds (I know the family’s lawyer well), a Nigerian member of Parliament came to Scandinavia, was interviewed in a program in connection with such cases, and said the most sensible and principled things I can remember having heard from just about any politician, Norwegian OR foreign, about Norway’s CPS handling. Although I am not of the opinion that Norwegian CPS ideology, or practice, is particularly directed towards foreign nations or races, there must be a strong suspicion in these cases that it is. 1) Nigeria has refused to issue travel documents for these women UNLESS the children are also released and go back to Nigeria with their mothers. 2) The lawyer of one Nigerian mother has not revealed anything secret to me. The mother wants it all known. Jaseper, yes, it is true that I missed the interntational Courts, i.e. judical body of the Council of Europe in Strasbourg. But my point was that there are the Courts which has their say in these cases , not Members of any parliament. But the supporters of Mrs Michalakova haven´t changed their mind after the international court rulling. They do think they know better than Courts what is the best for these children. I could not find the case in the HUDOC database on searching for the name, however the interview is old enough so that the case should be there. Also, the context of the quote is pretty dubious, it is unclear who was the applicant, against which member state and what alleged violation of international law happened. The only thing I have found is a case judged in 2011 by Jan Michalak against Slovakia, due to being arrested for a while prior to judgement, based on allegetions for something like money laundering. Hence I have doubts if the statement by the interviewee was true. By the way, Is this Jan Michalak the father of the children involved in the Eva Michalakova case? Pavla, I think that the instruction of relatives how to speak with their children in care is a rather good idea because the children may have been traumatised quickly if the relatives would have concentrated too much on the past, the Courts rulling or on some sensitive issues. I think that any parents or grandparents want to make their (grand)children sad and I would be rather grateful for advice how to handle this difficult situation, how to adress children´s questions in good way etc. from CPS. We don´t know too much about Michalak boys language proficiency. It´s unlikely that they were bilingual since they used to spend the majority of their time with Norwegian or sign language speakers (kindergarden staff, their father who took care of them when they were infants and mother had to work) and even their mother (in her own words) tended to mix some Norwegian and some Czech language. We don´t know how the boys communicated with their relatives in Moravia neither. However, the parents may have asked for Czech lessons earlier, from the start. As legal guardians of their boys they have right to ask for the mother tongue instruction the schools their boys have been attending. As far as I know the mother asked for language lessons last year- and the boys rejected the idea because they did not want to learn something new to them. I don´t know why mother did not apply earlier for these lessons, but it is not a kind of criticism on her…It´s just a fact. When it comes to relatives visiting rights, it´s only evident that CPS hasn´t been cooperative with family members and the officials seem to be biased against the extended family and not willing to help them. I would put the case to the Court, grandparents may ask for visiting rights this way because the contact between children and parents have been almost non-existent. Jasper, this statement (quotation) comes from Czech lawyer of Eva Michalakova- Pavel Hasenkopf. He obviously did not want to make harm to his client. He is the source of information, he even copied the statement in original- English language- somewhere including the names of judges. The case was under assessment of the Court in 2014. Another Eva Michalak´s lawyer – Dora Bokova- submitted the case to the European Court and it was her who wrote the complaint.So all this information come from people who are symphatetical to Eva Michalakova. The name of father of boys is Josef (or as he prefers Joseph) Michalak. He was not legal part in Strasbourg since he did not join Eva Michalakova complaint. Still, I find it very strange that there was a decision by ECHR which is still missing from the courts’ database. Also, the case still being in the Norwegian judiciary system tells it could not really reached Strasbourg — or was to be dismissed only due to domestic legal remedies have not been exhausted yet. I have looked over it, Marianne. It seems that Bjorn Bjoro’s article has the proper name. you eat it without any second thougth. It makes me wonder if you really want to know the truth and to develope -or if you are just one of those who thinks that they can manipulate by being extremly friendly. You sure swich mood sometimes. Norway is for Norwegians and those who wants to live here, not for some bored troublemaker behind a keyboard in a different country. And who knows nothing about us beside what he is fed by a another frutrated woman behind another keyboard. So what is left is your intentions : Is it boredom,is it hate,is it fascination, etc???. Why are you all so focused on CPS? And in Norway? Should you not be worried and concerned about what is happening in your own homeland? On behalf of the Norwegian people and the CPS; thank you for the attention, but it is time for you to focus on your own backyard. When our brothers and sisters in Christ (we are the Church) are abused by Norway’s system, this has now become our problem as well. Well, I have played with your name in the past and I will not do that anymore, Topsy. I find that this could easily have Knut’s name on it and I could tell almost no difference. Same old material. Same old recommendations. I will deal with it, as propaganda always should be revealed for what it is just as darkness should be revealed by the light. Any darkness left uncovered in our age will be exposed in the life to come. There is no good reason I should answer someone who is not willing to tell us their true identity. I’ll think twice before answering next time. You say I am brainwashed by Marianne. How do I say this directly? It is simple…You are wrong. That should work as it is the truth. Marianne has been one of many sources that I have digested to come to the conclusions that I currently have. One must never use only one source when studying any issue. I have come to trust Marianne because everything she says with little exception lines up with all of the other research that I have done on this. I don’t know how many times this accusation has been written to one of the fighters for families here, but it is a way to divert attention away from the evidence, of which Marianne has quite a bit. I would venture to say that without the clarity of Marianne’s voice I would have eventually come to the same conclusion. Norway has a corrupt legal system that destroys families and both the politicians and media are guilty of aiding this corruption by silence or by propaganda. Yes, I will call you by your fake name and not twist its fakeness this time. You failed to give an example of this, btw. I have been anything but bored, Topsy. It has been an interesting though sad study for me. To learn that a government sanctioned organization has caused the systematic break up of biological families in an entire country for at least the past 30 years is quite interesting and disturbing but anything other than boring. Those lurking in the dark, like you Topsy, make it even more remarkable. I have learned a great deal about your country in a short time, Topsy. I have learned a bit about your legal system and how it differs from my country’s. I have learned that Norwegian propagandists are average. I have learned that there are wonderful people in Norway and that the country needs to “come clean” or it will have a black eye similar to the one Germany had after WWII. I have learned that many are afraid to say or do anything that might cause attention to their family. I have learned that Norway’s CPS will use good as well as bad to incriminate its victims. I have learned that many are stressed by such a system. I could go on. In general, I have found your people to be no better and no worse than any other. They are people who want to be left alone to live their lives in peace without the intrusion of the government into their families. They have been conditioned, over years, as any group of people can be when strange philosophies rule in the education of workers. I would like to see one of the training manuals that you use to teach your Mother’s Homes workers. I think that is all I would need to show that this conditioning takes place during duress placed on a young families who are given no alternatives. It is not democracy. It is totalinarianism. “My heart and mind could not rest. I had to “speak” against such abuses. Others speak to other wrongs in the world but this is where I’m planted for now by the grace of God. My country has problems but the world has become a smaller place. I can send a note across the planet in seconds. The days of the pony express are over. As a teacher, I have always been an advocate for children. I do work to try and make my country better. How will I ever accomplish that when I do not follow the golden rule? You are very welcome, Topsy. It has been a pleasure to serve the people of Norway. Ask as nicely as you will, Topsy, I will not go away and don’t expect my friends to go away either. You can expect to ask me this same question over and over again for years if it takes. I am sitting at a computer, as you are, and contemplating my next move, as you are. To this point, in this chess match there have only been losers. It will continue to be that way until this issue is resolved. Last, you never did answer the question I asked you last time. In what way do you benefit from this system of ruthlessness? What is your motivation to keep me from this issue? You accuse me of manipulation through friendliness. This is a false accusation. I am not aware of any place where I have done this. Please give me an example. I for my part am very thankful that people outside Norway engage in our problems. It is in fact human rights problems. As a nation, Norway loves to address and get into other countries human rights issues. While we close our eyes to the dirt in our own backyard. It is of course a shame that we as a rich, proud and seemingly democratic nation have these kind of difficulties. But it is also a fact, and we will probably need the eyes and pressure from the outside world to set these issues straight. Well said, Topsy. It’s been a facinating insight into a movement that on this blog has Mr. M as their master. As Christians they know how to obey and follow, but in this case they give a person they really don’t know much about – the complete control of their stearing wheel – not The Holy Ghost – but an elderly woman that have opposed the CPS in Norway for decades without coming anywhere. She is a nobody in Norwegian context – so I’m I – we are just opinionmakers – she with a person onevied archieve background – I with a lifetime walking in and out of the real cases in the CPS archieve. I understand when I’m considered an enemy of this rest people that are still reading this blog what I write will be seen as progaganda more than the truth about Norway, Norwegians and the CPS as a whole. I’m a music lover and when the lyrics are talking like in this song “No ones gonna love you like I do” played with two members in an American band called “The band of horses” my brain and emotions react – I hope yours do to. In Bergen we now have “Bergenfest” – a music festival most for students – younger grown ups and chronic music lovers – I never visit, but get reports and someone told me this was something to cheque up – and to cheque up – do your own research and investigaitons – and then finally make up your minds should be an univerisal principle. Chris – write to the Sudmannske and ask for a copy of their training manuals a.s.o. – get the real answers. Topsy, then you would have to stop assimilating foreign children in Norwegian families. As simple as that. The foreign focus started, when children, who sometimes do not even have norwegian nationality, were placed in norwegian families, cut off the contact with their relatives, siblings split into different foster families and the children estranged from their extended family, language and culture. If you have not done that, then the world would not be protesting right now and the world would not know about barnevernet. Well to bad, now we know. Every child has a right to grow up knowing his cultural background. Norway is violating this right.. I wonder if it was the other way round, a Norwegian child placed in for ex. Czech family. Nobody from the extended family was allowed to meet the children. The children would be forbidden to speak Norwegian with their Norwegian relatives, the relatives would be instructed on how to speak with their own grandchildren..Do you find it normal? I dont..there is a Slovak grandmother that was denied access to her granddaughter. The child was taken because CPS was afraid of its future development..not any sign of violence in this one. How is that fair?? Norway is breaking international law. You, Norwegians are the first one, who scream about human rights being violated in other countries. If Norwegians are kept in prison in other countries, does your government care? I bet they do, just as the people..So if you do the same to other nations, you can expect quite a heavy reaction.. This is now going to be solved with the Hague convention hopefully, but by now I have met many Norwegian families who are trapped in the system. They dont have their government fighting for them. They are left on their own and they want to share their stories including documentation. Tomas Zdechovsky, our MEP, has almost 1000 of the cases including documentation and every week there are new parents asking for help. For a country of only 5 million people, this is outrages. Pavla Jansova, you have written about so called assimiliation of foreign children. Let´s look on this problem from another perspective: Almost all Western European countries have been multicultural for some time, people from many nationalites have been living together, but they have been all regulated by one Constituon and set of laws. I.e. all children irrespective of nationality (you may live in some country all your life without getting this country´s nationality) deserve being protected against neglect and abuse. The nationaly doesn´t matter. If the foster care was needed, should we find preferably the foster family of the same nationality as the child has? DAnd what about language? It´s difficult to say what is the child´s first language. I.E. In Michalak´s family mother used the both languages- some Norwegian, some Czech, the father used the sign language and some Norwegian language. Their boys had lived in Norway all their lives, should we consider them as “Norwegian children of Czech nationality speaking Norwegian” or “Czech children living in Norway for some time with Czech language”? It´s quite challenging to solve these cases, especially in the case when the parents fight against each other as we can see in Michalak case (father and mother are of the same impotance according to the Norwegian judicatory). You are wrong here. Norway has international commitments, for example European Convention for Human Rights. These international commitments — treaties signed and ratified by Norway — let people to appeal to an international court. Especially European Convention for Human Rights lets it possible to appeal to European Court of Human Rights once national legal remedies are exhausted (appeal against the decision of Norwegian Appeals Court or Norwegian Supreme Court). In case Zdechovsky was good enough in international law and saw an obvious violation of international law, he could be still right. Well Veronika, I dont find it normal, that relatives are instructed on how to talk with their grandchildren, nephews , cousins..that they are not allowed to speak in the language they were using before. Just about how creepy is to force relatives to talk to these children via translator? Even though these children grew up in Norway, they have foreign parents and were bilingual. In case of the Michalak boys the oldest has lived several months in Czech Rep after the birth, before moving to Norway. They had strong ties with CR and their relatives and spent holidays there every year. Of course after a few years in foster care they have forgotten most of the language, not talking about the culture. I am convinced that it is wrong. And again the cousins, grandparents and uncles & aunts have asked for visitation and they were denied. They have not seen the children since 2013. What is that? That is not in best interest of the children. Thank you,Knut-i really liked the Micheal Moore video. I am proud to be Norwegian! Chris, a good advice: select your wars. You have no impact on Norway. It is a waste of time and energy. I think this is another lie, Knut. Another of so many that you have made. Why would I trust Sudmannske for anything when their employees were trained to use such methods? Maybe I can get a few quotes from my Norwegian friends from your training manuals for child care workers and compare them to this link you have given to me. Or maybe you will allow an educated outside entity that has no iron in the fire permission to look over CPS files that you so closely covet. Does Michael Moore know the percentage of BV victims that are in Norwegian prisons? Does he know about the Mothers’ Homes? He and the video appear to make prison in Norway quite comfortable. He speaks of prison as if it is all about rehabilitation and speaks nothing about accountability. Michael Moore jumps on one end of the scale and the other end goes flying off in some other direction never to be discovered. His thinking is very unbalanced. I could say the same thing about your devotion to the Norwegian CPS, Knut. A Christian can never give complete control of his steering wheel to any human. When this happens, a Christian will find himself in deep water. Christians are led of the Holy Spirit through the understanding of God’s Word. Marianne was not around when the Gospels were written or any of the rest of God’s Word for that matter. She is reliable but no one is as reliable as God’s Word. Christians rely on the Bible to be their guide, their moral compass if you will. I was fortunate today to listen to a man who rightly divides God’s Word in 98% of the cases that I have heard him speak to thus far. I have only heard one thing where I felt it was important enough that I let my difference with him be known. He is a kind and caring Christian leader. Let the children of Norway decide. Ask them this question: “Would you rather be in the care of the Norwegian child care system or would you rather go home to your mother? For those who are too young to make such a decision, the best bet is too leave the child with its mother unless harm is proven by a fair outside source. At the moment, I don’t trust the CPS of Norway to make a fair decision. Unfortunately, many Norwegian families don’t trust their own CPS for the same reasons mentioned on this blog. They don’t trust it because of their experience with it, not because of Marianne’s well researched data. Janteloven er tekst skrevet av forfatteren Aksel Sandemose i 1933 og ble forst presentert i verket En flyktning krysser sitt spor.Denne teksten gir et godt bilde av ,, meneskenes iboende ondskap og evne til a trykke hverandre ned ,,. 1 Du skal ikke tro at du er noe. 2Du skal ikke tro at di er like sa meget som oss. 3Du skal ikke tro at du er klokkere enn oss. 4Du skal ikke inbille deg du er bedre enn oss. 5 Du skal ikke tro du vet mere enn oss. 6Du skal ikke tro at du er mere enn oss. 7 Du skal ikke tro at du duger til noe. 8 Du skal ikke le av oss. 9 Du skal ikke tro at noen bryr seg om deg. 10 Du skal ikke tro at du kan laere oss noe. 11 bud-… Du tror kansje ikke at jeg vet noe om deg. Polecam przeczytac i przemyslec.Dlaczego Norwegowie uwazaja ze niczego sie nie moga nauczyc od obcych.Dlaczego nie chca im pomagac .Dlaczego obcy nie moga sie stawiac w jednym szeregu z Norwegami .Czyzbysmy byli – jako obcy -podgatunkiem w ich oczach.Czyli slowo obcy to synonim podgatunku w jezyku norweskim ? Radzi sie tam norweskiej mlodziezy —hold avstand og sett grense. Podrecznik jest wydany w 2002 roku czyli jakies 30 lat po fali pierwszej emigracji z Pakistanu ( po wypedzeniu 17 milionow ludzi i zabiciu 1 miliona sporo ludzi ucieklo z Pakistanu i Indii ).Uczy dzieci nie mieszania sie , nie integrowania z obcymi ale trzymania sie od nich z daleka i otaczania granica nie do przebycia przez obcych. Jest termin … ute stengt … czlowiek zamkniety na zewnatrz..Nie pomagaj , nie rozmawiaj z obcym , traktuj go jak gowno. Nic dziwnego ,ze obcokrajowcy ktorzy spedzili tu wiele lat nie maja przyjaciol wsrod Norwegow .Mlodziez wyrastajaca w Norwegii majaca rodzicow z zewnatrz rowniez nie czuje sie ze jest Norwegiem. Jared Diamond w swoim wykladzie TED okreslil te cechy : arogancja ,nieumiejetnosc asymilacji z innymi ,niezdolnosc do nauki od innych jako cechy ktore prowadza do wyginiecia danej spolecznosci.I dlatego Wikingowie wygineli na Grenlandii. Wspolczesni Norwegowie maja wszytkie te cechy ktore spowodowaly wyginiecie Wikingow na Grenlandii.Nie zaszly zadne zmiany. Jared Diamond TED Why do societes collapse ? Knut Nygaard writes about Dr. Marianne Haslev Skånland whom he insists on referring to as “Mr. M” or “Mrs. M” for some reason only Knut can fathom: “[she is] – but an elderly woman that have opposed the CPS in Norway for decades without coming anywhere. She is a nobody in Norwegian context – so I’m I – we are just opinionmakers”. The socialworker puts professor emerita Haslev Skånland in the same class as himself: a nobody. I agree with Mr. Nygaard that he is a nobody, a nobody with too much power, but a professor is way above “nobody”. The professor-title is for lifetime and signifies that the person has a certain amount of knowledge. Norway is of course a very egalitarian society where any nobody can rise from obscurity to the highest positions without any qualificationd except good connections. But to denote a professor as a “nobody” is a falsehood, something barnevernet master to perfection. This Cruz–Avramescu case is really among the most outrageous and cruel ones. What a “help” system for families! As usual, the Barnevern enthusiasts are not concerned. Pracownicy barnevernet nigdy nie poniesli kary za swoje postepowanie , wic nic dziwnego ,ze czuja sie bezkarni.Nalezy sie zastanowic skad bierze sie to okrucienstwo wsrod zatrudnionych bv.I dlaczego zaden z kolegow nie protestuje.Moze takie okrucienstwo jest celowe i ma zadanie przestraszyc obcokrajowcow , zniechecic ich do osiedlania sie w Norwegii. Dawniej Wikingowie atakujac Anglie lapali najpierw jednego tubylca , obdzierali go ze skory i wieszali ja na gwozdziu na drzwiach kosciola.Zeby zlamac opor przeciwnika.Czyzby dzis barnevernet tez stosowal takie strategie walki z ludzmi.Przestraszyc ich wlasnym okrucienstwem. Wiecej o brutalnosci Wikingow znajdziecie w ksiazce Verre enn sitt rykte – Wikingene slik ofrene sa dem. Yngvar Ustvedt.Gorsi niz opinia o nich – Wikingowie w oczach swoich ofiar.Ksiazka o brutalnosci Wikingow. Niestety nie jest dostepna , bo miala tylko jedno wydanie .Cikawa jest tez historia Djeveloya i oslofjorden .Na jej podstawie powstal film o Bastoy. I jeszcze jedna lektura Sluszny opor – Peter Harris. To jest ksiazka o brutalnosci policji i ruchu oporu walczacego z apartheidem w RPA.Wszystkie systemy upadajace robia sie brutalne.A historie o walkach z aparthaidem sa jak najbardziej aktualne w Norwegii gdzie prawo dziala inaczej dla swoich ( dla Norwegow ) i inaczej dla obcych ( obcokrajowcow). By now we all know the evil intent of Barnevernet.it is clear, and this published stories are just the tip of the iceberg . The world is shocked to see the madness in the Norway CPS. How is it possible that this evil organisation called Barnevernet to keeps ignoring the comon sence and every positive decision of the courts in favor of the family? How long before more and more Norwegians will stand up to this evil destroing theyr country? We will not stay passive watching the destruction of all this families. “I have several times given speeches at the demonstrations, without having observed even a single poster directed against child protection, as claimed by Storø and Backe-Hansen. The demonstrations are directed against Norwegian child protection the way it functions today. Who has trouble with hearing/reading? Knut, is there any substantial response for the concern letter initiated by Gro Hillestad Thune, Thea Totland, Nina Witoszek, Elvis Nwosu and Einar C. Salvesen last summer? Or is it not only Mr. Prunean criticizing? Please don’t waste your time on Mr. Prunean but respond to this concern letter. My apologies, it seems I made a typo, did not close the last link correctly. The last link should last until the first question mark. Please check your links, Jasper. The English ones above are not working as I write this. NVM Jasper. My internet was out for a bit. The links work fine. Whoever still chooses to live in that shut hile after all these cases coming to light, deserves it. I’d rather live in a 3rd world country with my family than in that paradise of pedofiles and homosexuals.